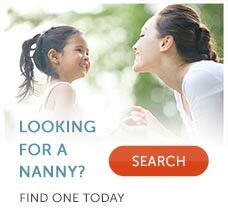 Before you start your nanny search, it is essential to outline the expectations that you have for a nanny and draft your job description. Only when you understand your family's caregiving needs and can articulate how you expect your nanny to meet them will you attract candidates that are a good match for your job and family. How will you make your profile stand out? The more information you provide in your family profile, the more easily it is for a nanny to determine if they are a potential match for your family. Fill out the family descriptions as thoroughly as possible so that nanny candidates can get a real sense of who you and your family are. Including a family photo can add credibility to your listing. Have you defined the salary package you are offering? Being upfront about your childcare budget will help ensure that you attract nannies that you can realistically afford. In addition to your nanny's hourly rate, you'll want to include information about the benefits you are offering. If you are offering a full or partial contribution to health insurance, be sure to include that in your job description. Typical nanny benefits include paid vacation time, paid holidays, sick time and personal days. Offering a variety of fringe benefits and non-taxable forms of compensation can attract nannies that you may not otherwise be able to afford. Be sure that the salary you are offering matches the duties, responsibilities and tasks that you expect your nanny to take on. You'll also want to be sure it adheres to the Fair Labor Standards Act, which requires nannies to be paid for each hour worked, and live-out nannies (as well as some live-in nannies, depending on the state) to be paid overtime. Are you factoring in nanny taxes? As a household employer, you are required to deduct and pay federal and state employment taxes. When discussing your offering salary, be sure to clarify if you are speaking in gross (before taxes) or net (after taxes) terms. You'll also want to be clear if you'll be deducting the nanny's taxes. If you choose not to take her income taxes out, be sure to let the nanny know that she is responsible for paying taxes on her income. In addition to salary, the nanny employer's out of pocket expenses are typically 10% more than their nanny's gross salary. Find about more about nanny taxes on our site so that you stay in compliance with the law. Have you defined your nanny's duties? Before advertising your job, it's important to outline the duties and responsibilities you expect your nanny to take on. Generally, nannies are responsible for the complete care of the children and the tasks related to providing that care. This includes meal planning and preparation, children's laundry, keeping the children's areas neat, clean and organized and transporting the children to and from activities and appointments. Have you solidified your nanny's work schedule? As the employer, you have the flexibility to set your nanny's schedule and hours. Being upfront about the amount of weekly care you need is essential to finding the right nanny match. Outline the weekly schedule and be sure to indicate if you require flexibility.